No kitchen is compete without a breakfast bar. We have all seen them in upscale homes, and most of us have wanted one for our own kitchens as well. While they can be appealing to look at, they are also extremely functional in today’s modern kitchen. If you purchase a breakfast bar, it can be quite costly. But there is a way you can build one yourself for only a fraction of the cost. 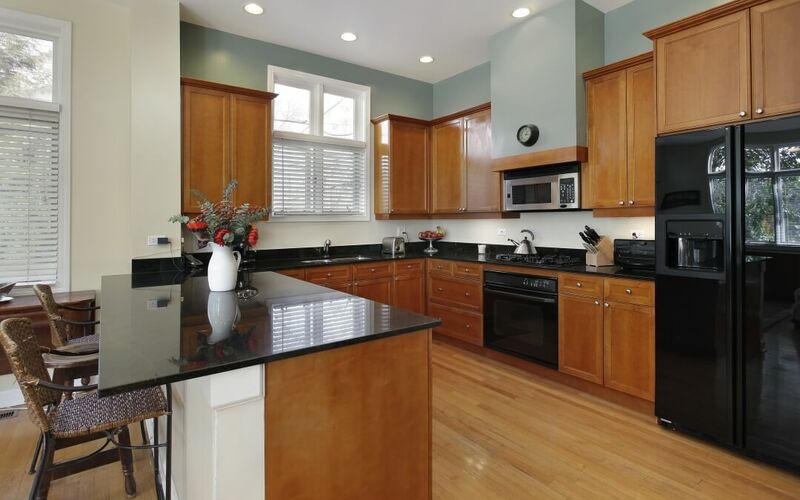 The first item you need to find is some preowned kitchen cabinets which have been removed from a home. You can find these at garage sales, by looking in the classifieds section of the newspaper, or even by contracting a local contractor that does home remodeling. You will also need to get a counter top. You can find this at your local hardware store, (Home Depot, Lowe’s) or you can look in the news paper etc.. for this item as well. The best type of cabinets to use for this project are ones which still have shelves, and drawers in them to add functionality to your breakfast bar. They also provide great much needed extra storage space that any kitchen can benefit from. Placement of the breakfast bar is an important decision. If you are going to place it against a wall, then there is no need to do anything to camouflage the back of the cabinet. If the bar is going to be an island, then you will need to choose some backing such as wallboard to place on the back of the cabinet. One important detail to remember is to purchase some L shaped brackets (from your local hardware store) to allow you to attach the breakfast bar to the floor and allow for stability. You will also want to use the brackets to attach the counter top to the cabinets. If you decide you want to add an electrical outlet to the bar, it is simple enough to tie it in with any existing outlet you already have in your kitchen. The best place to put an outlet is going to be on the underside of the bar. It’s functional, and this way you aren’t worried about spilling liquid on the outlet in case there is a spill on the breakfast bar. If you breakfast bar seems unstable as a stand alone, then add a stabilizer bar at the back of the bar. One trip to your local Walmart, hardware store, (Lowe’s, Home Depot) or even a garage sale to buy some bar stools and you have a breakfast bar that you made yourself for a fraction of the cost.